A welcome and a thank you to our presenters and to our participants. Right to Nonviolence will be continuing its assessment of the Tunisian constitutional process with future visits and discussions taking place in Tunisia. 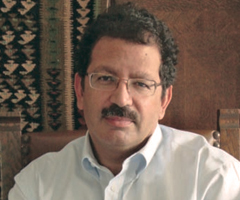 Professor Chibli Mallat is Chairman and Founder of Right to Nonviolence. He is a law professor and a practicing attorney, and an active advocate of human rights, constitutional law, and judicial accountability. He is Presidential Professor of Law at the University of Utah and EU Jean Monnet Professor of European Law at Université Saint Joseph in Lebanon. He was the 2011 Custodian of the Two Holy Mosques Visiting Professor of Islamic Legal Studies at Harvard Law School, and will be Visiting Professor at Yale Law School in the fall of 2012 teaching war and human rights, and Islamic and Middle Eastern law. Mallat has published and edited over thirty-five books, including Introduction to Middle Eastern Law, OUP 2007; and Iraq: Guide to Law and Policy, Kluwer 2009.